Through a style of her renowned durational work, PopUp Tearoom Series, Yumi will guide participants to explore the elements of rituals, performance, installation and gateways towards ‘unknown’. 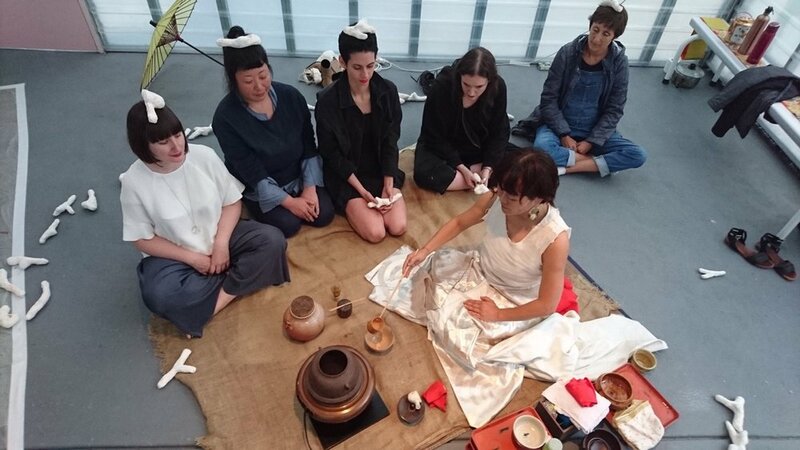 Introducing also basic methods and philosophy of Butoh and tea ceremony, Yumi facilitates the workshop for participants to stimulate and search their own unique rituals and ‘authentic’ movements, working through images, narrative and abstraction. The mundane gestures and daily objects can be transformed into their own imaginary world of performance installation. No dance, performance and art backgrounds are required.